At BlizzCon this year, our news editor Ben talked all things Overwatch with principal designer Scott Mercer and VFX artist Rachel Day. 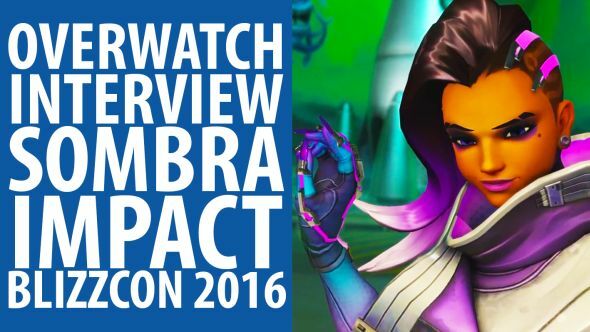 On the agenda: Sombra, arcade mode, the Overwatch League and World Cup, and The Symmetra Problem. To see what else Blizzard unveiled at their annual party, check out the rest of our BlizzCon 2016 coverage. First up: Sombra. Who else? We discuss her epic ARG, of course, but also consider her impact on the average match and on the wider meta. Being quick, stealthy and able to shut down enemy abilities, she’s all about making a nuisance of herself. Arcade mode replaces the weekly brawl, with a more flexible set of challenges for players. But this also helps the devs too: Day explains that it enables them to set up and test different scenarios. We wrap up with Symmetra; Mercer acknowledges that she only sees play when a defending team can use her teleporter to get to the first point quickly. Blizzard’s goal is to make her more fun and more active across all stages of the game, and on attack as well. If you enjoyed this, consider subscribing to our YouTube channel for much more of the same, and some of a bit different.